It looks like it has been pulled from the Market (we're not entirely sure why, but it probably has to do with copyright violation). Fret not - we've got the apk for you to download right here. 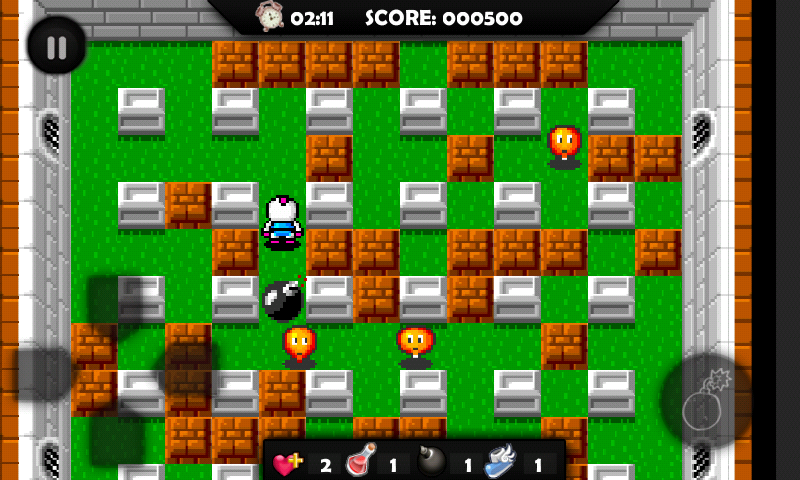 Seeing as Bomberman has been perennially resurrected since its 1983 release, chances are extremely high that you've played some variation of the game in your lifetime. 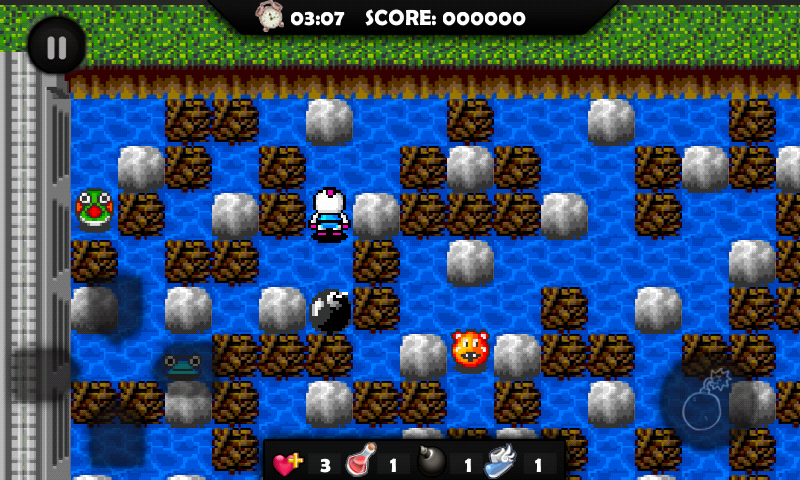 Now, if you're like me, you seriously jones for some Bomberman action from time to time, and are only satisfied once you renter the Bomber Nebula to blow your way through mazes. Now you can carry the little guy in your pocket, and even play multiplayer with friends or random opponents. 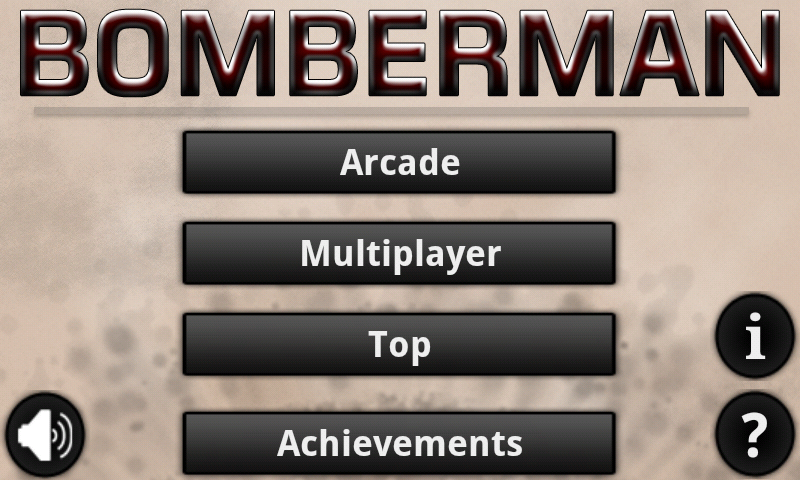 Yes, that's right - thanks to CCRNI, who built this game as an academic project, we have a solid Bomberman port for Android. I know you really want to hear about the multiplayer option, but let me start off with the Arcade mode. 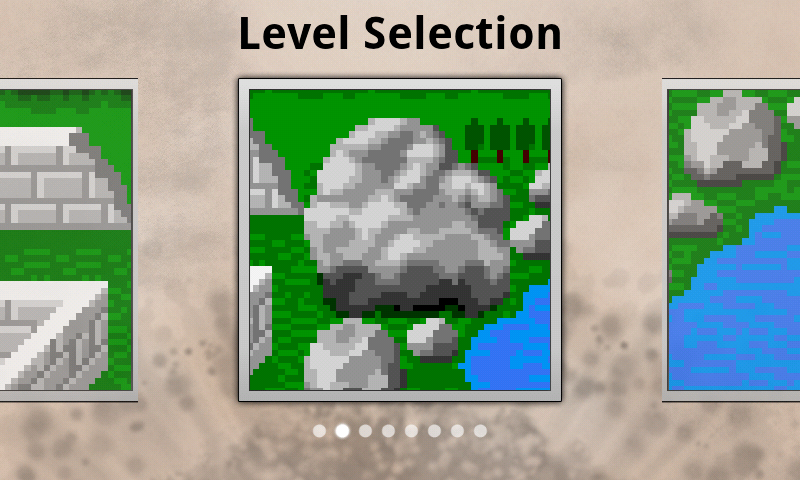 Currently, there are only 8 levels, but they sure do get challenging. Considering the amount of downloads the game has seen in the last few days (somewhere between 500k and 1M), I sure hope they keep up support and add more levels. Considering this game is a result of an academic project, it isn't clear whether that will be the case. 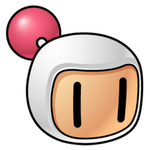 Alright, Bomberman Online's multiplayer mode (playable over Wi-Fi, Bluetooth, or 3G) is a game changer, but it still needs quite a bit of work. The online play is a bit difficult to figure out, but fortunately the developer has provided us with a setup guide, conveniently located here. 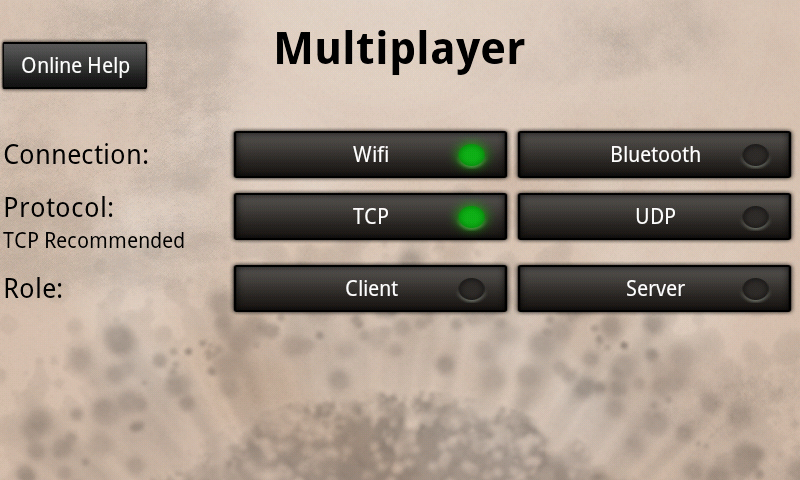 When you choose the multiplayer option in game, you'll come to the setup screen where you can choose between Wi-Fi or Bluetooth play. This is where it gets confusing – choose Wi-Fi to play either a private match over your network or a public match via 3G. 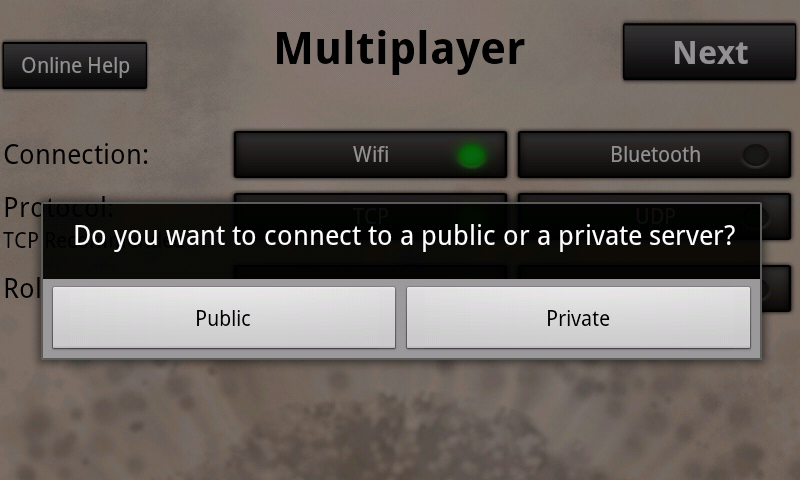 Players should be aware that selecting a public match will automatically use a 3G connection without notifying you. To set up a private game over your network, you'll need to make sure all of your friends are connected to the same network. 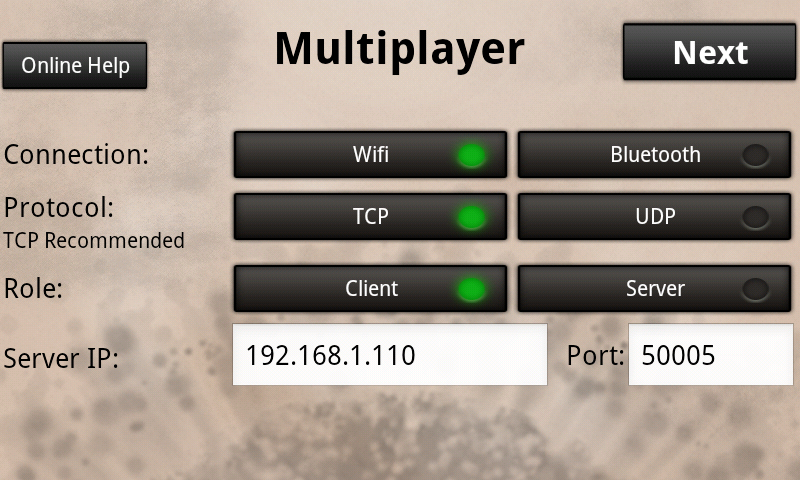 Alternately, you can start a private match via Bluetooth, which seems to be much easier. If you're having trouble, check the setup guide provided by the dev. As I said, the multiplayer aspect of this game does need some serious work. Private matches work great over Wi-Fi if you have a solid connection and can figure out setting up a server, and work even better over Bluetooth. What doesn't work properly is the public match option, which is what the majority of players probably want to take advantage of. 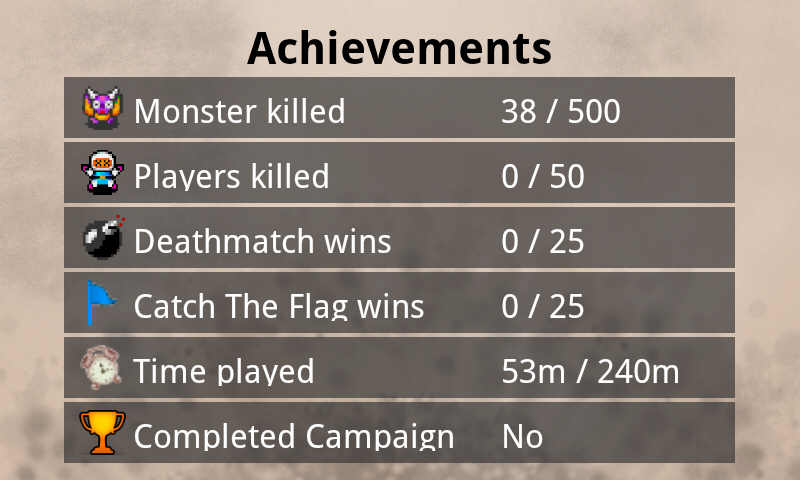 I only managed to get connected to one game over 3G after trying for a solid 15 minutes. While it is a little disappointing, we have to remember that the game only came out a few days ago, and the developers state that 3G connectivity is still in early development. I'm sure it will get better in the coming weeks (granted that the game is updated). That being said, there are two different multiplayer games - Catch The Flag and Deathmatch, each playable in either one-on-one or two-on-two modes. In Catch The Flag, you and your opponent race to reach a flag set at a random point, forcing you to make strategic movements quickly. Deathmatch is exactly what it sounds like - face off against your enemies in an attempt to catch them in your bomb's blast radius. What are you waiting for? 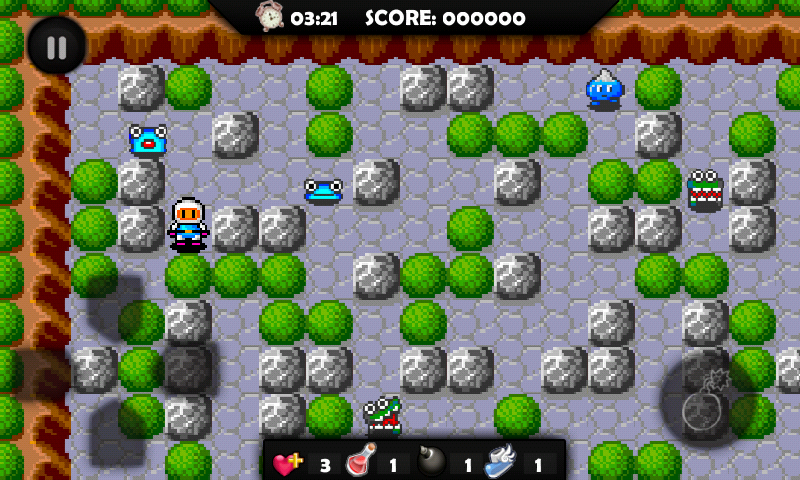 Go download this game now and bathe in a bit of nostalgia. Hopefully all of the bugs will be squashed soon, so we can all enjoy glitch-free multiplayer action. Did I mention that it's entirely free?